Home Humor Parenting Humor Parenting Tips Remember When You Found Out You Were Pregnant? Remember When You Found Out You Were Pregnant? Even though my mind was the first thing to go when I got pregnant, the one thing I will never forget is the moment when I found out I was pregnant. In fact, I remember the day, the weather, the people we hung out with... throwing the positive test into the bathtub... FTD screaming like a girl... Yeah, that was quite a day. It was a beautiful sunny Sunday afternoon. FTD and I were on our way to a friend's BBQ, but had to stop at the store to pick up a few items first, including beer. Normally the thought of beers at a BBQ on a Sunday afternoon would bring a happy little tear to my eye, but on this particular day, it made me want to throw up. 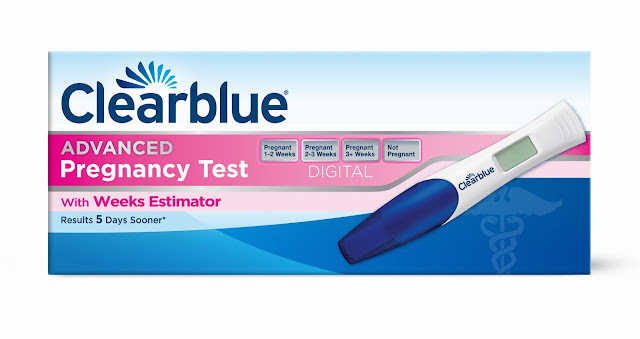 I looked over at FTD in the beer aisle and said, "I am going to go get a pregnancy test." Luckily, FTD was not holding any beer at the time, because the look on his face told me he would have dropped it. When we got home from the party, I ran to the bathroom, peed on the stick and then held my breath for three seconds, all it took for that line to show up. I screamed, threw my hands up in surprise and shock, and in doing so, let go of the stick. It went flying into the air, while I went flying out to find FTD. I had the split second thought that I needed the test for proof, so ran back to the bathroom to retrieve it, just as he came around the corner. I yelled, I AM PREGNANT!! It took a second for the complete shock to wear off, but once he was done crapping his pants, we found the test in the bathtub. He let out a strange scream-gasp, then grabbed the Clearblue box and instructions and ran off. I followed him into the living room and waited while he read the instructions. Finally, he said that to be 100% sure, I had to wait until morning to test again. I just stared, blinking. WHATTHE? He thought it was too good to be true, and that surely I did something wrong. So, instead of slapping sense into him, I took the test and the instructions, and called my sister. She screamed too. Long story short longer, the next morning the line showed up before I finished peeing on the stick. I was super knocked up, no question about it. Forgive the quality, I took this photo with my phone to send to close family. How cool is that? The test uses your HCG levels to estimate how far along you are. The (FDA approved!) 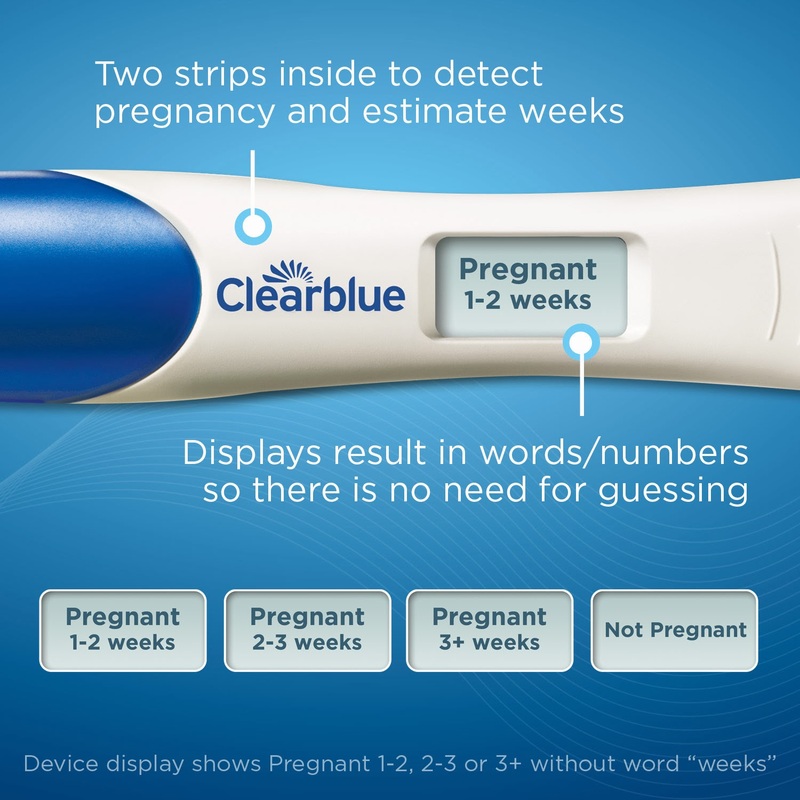 Clearblue Weeks Estimator is the only pregnancy test of its kind in the US. Clearblue is also the #1 recommend pregnancy test by OB/GYNs, and is over 99% accurate! For that reason... Don't get any big ideas, but... Should... When... If... Yeah, I am totally going to use this test! 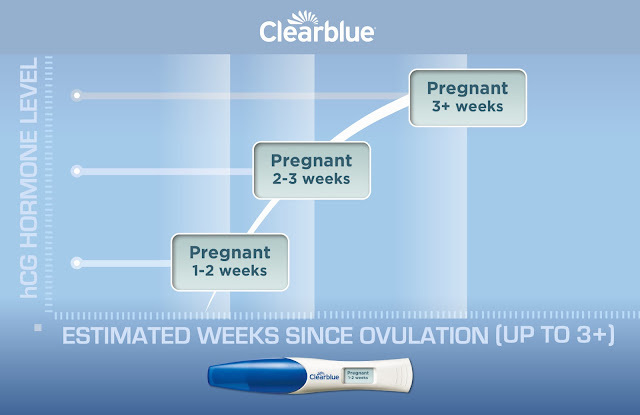 If you think you may be pregs, I highly recommend you head right over to CVS.com for more information about the Clearblue Weeks Estimator, or a CVS in your area to pick up the Clearblue Weeks Estimator pregnancy test today! Oh, and before you go, please tell me about the time you found out you were pregnant.